Waterman Fountain Pen + Ballpoint Pen Hémisphère 2018 Deluxe Cracked CT in Gift Box "Pure Love"
Waterman Fountain Pen + Ballpoint Pen Hémisphère 2018 Deluxe Cracked CT in Gift Box "Red Love"
Waterman Fountain Pen + Ballpoint Pen Hémisphère 2018 Deluxe Cracked CT in Gift Box "Science"
Fountain Pen Hémisphère makes each moment refreshingly elegant. 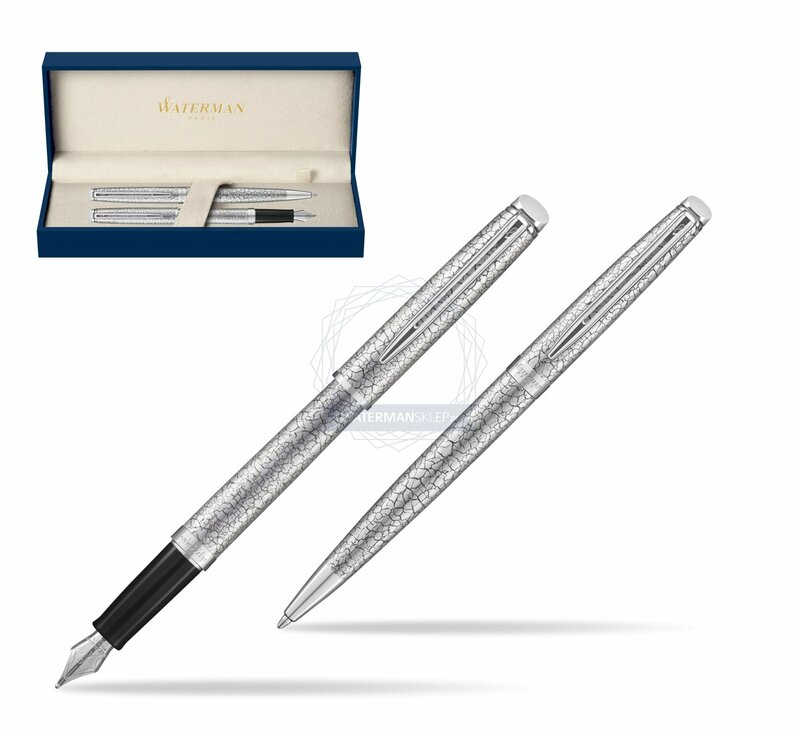 In the spirit of Waterman innovation, it redefines timeless lines with a new focus on streamlined simplicity. Striking clean design and noble materials come together for a delightful writing experience to inspire your most creative thoughts. The Finish An unpredictable and intricate pattern together with palladium plated trims provides a fashionable Parisian self assured look and feel. 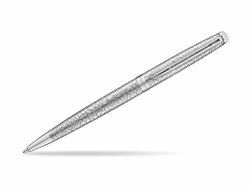 The Nib Comfortable and brilliantly designed, the expertly engraved nib is unmistakable in its writing experience. The Clip Palladium finish. This Waterman Fountain Pen can be refilled with every Waterman Ink cartridges or by Waterman Ink in bottle. This Waterman Fountain Pen comes with nib size F. One ink cartridge included in random blue or black colour. 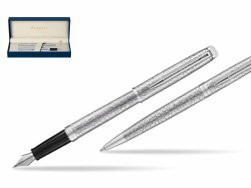 Ballpoint Pen The Finish An unpredictable and intricate pattern together with palladium plated trims provides a fashionable Parisian self assured look and feel. The Clip Palladium finish. This Waterman Ballpoint Pen can be refilled with every Waterman Ballpoint refill. This Waterman Ballpoint Pen comes with a Ballpoint refill in random colour Black or blue. Presented in its Waterman box.